In my last 2 Six Top Tips posts, I looked at writing your wedding vows and saying your wedding vows. One of the grandest parts of any wedding ceremony is the entrance of the wedding party. Whether it’s just the two of you, walking up together hand in hand, or a huge processional with an entourage of family and friends, a lot of careful planning and thought needs to go into it to ensure It is perfect, amazing, jaw dropping and reflects who you are, as a couple. As a wedding celebrant, the lead up to this moment is one of my most favourite parts of the day. 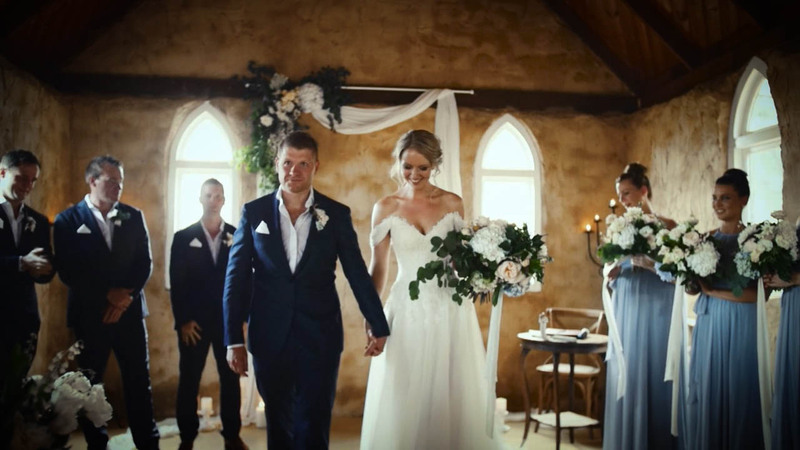 The air is full of anticipation, calming nerves, the bride is arriving – everyone straining for that first glimpse – then all standing to welcome the wedding party as they make their way to the ceremony space. Having a wedding celebrant gives you the freedom to have your wedding ceremony exactly as you wish it to be. The processional is no different. In fact, no two wedding entrances at any of the many wedding ceremonies I have led, have been the same. One beautiful bride arrived on her white horse. She looked like a Disney Princess as we caught glimpses of her, riding through the trees, with her beautiful dress draped over her horse’s back. Another bride, along with her mum and bridesmaids rattled down the farm track in a tractor and trailer. Everyone strained for a quick glimpse of her, but she was hidden from sight by her bridesmaids. In another wedding ceremony, the two brides walked together holding hands through the woodland after being taken, blindfolded, to the start of the rose strewn path for a ‘first look’ or ‘reveal’. Here they spent a few precious moments with each other, before continuing their walk to the ceremony space. Whether you’re going for a traditional look or want something really different, these top tips will ensure your entrance is absolutely stunning. There is no set way to make an entrance. It can be as original and imaginative as you want it to be. As the celebrant, I always ensure that I have a pre-arranged signal from the event manager that the bridal procession is ready to begin. This enables me to invite all the guests to be standing to welcome the bridal party, and it’s the signal for the processional music to begin. A well-rehearsed, perfectly orchestrated procession really ensures split second timing and creates a stunning start. Consider the order of your procession and make it individual to you. Are you having bridesmaids? How many? Will it be an odd or even number? Will they walk in front of you or behind? Do you have a long train or veil that will need to be spread out neatly when you arrive next to your partner? If so, its better if they follow you. Are you having very young flower girl? If so should she go in front of you so you know what she’s up to and all eyes are on you as you go past and it’s not the little cutie who is grabbing the attention. Will your bridesmaids walk in pairs or in single file? Think about their height and size, how do they pair up well together or form a smooth line. Think about how far they will walk and how far apart they will be spaced. Make sure they all start on the same leg and keep in step at the correct pace. Knowing the traditional line up enables you to play with its structure, but keep a smooth processional flow when you arrive at the ceremony space. Tradition has it that your partner will be waiting for you on your right-hand side. This custom goes back to days of chivalry, when they needed to keep their right hand free to defend you with their sword, should the need arise. Any best man, or best woman, grooms people, or supporters of the waiting partner should be on his or her right, when facing the front and the wedding celebrant. This means that when you proceed up the aisle, anyone accompanying you should be on your left, ensuring you naturally find your partner’s side on your right when you arrive at the ceremony space. All your bridesmaids, pageboys, flower girls should be on your left. I have conducted many wedding ceremonies that have completely moved away from many of the traditional aspects of a wedding, and this too is reflected in the wedding entrance. Traditionally, the arrival of the mother of the bride is the signal that the bride is on her way and the wedding ceremony is about to start. Will she be walked down the aisle and shown to her seat or would she prefer to make her own way there? Having recently had the privilege of being the mother of the bride at my daughter’s wedding, I always share in the pride that they have on this special day. There are no hard or fast rules and parental roles are changing. Make sure that you have adequate standing space or seating for all these supporters, when the ceremony starts and it’s just you and your partner in front of the wedding celebrant. At my daughter Sophie’s wedding ceremony, there was a long walk through a field and trees to the ceremony space. Her dog, Macie, was part of the bridal party. The minute she was let loose, her barking, scampering and tail wagging as she dashed to the ceremony space to find everyone waiting, heralded our arrival.